How, do you Honor a King! 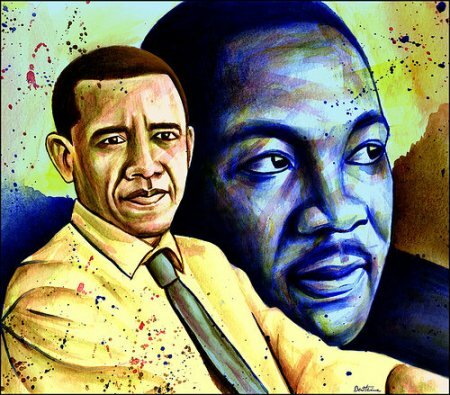 Not a monarchy but A true peoples King, a civil rights King! How do you thank someone who fought for your dream before you could even close your eyes! How do you account for a man who changed your life and those of your fellow brothers, and whom in doing so, Lost his own! Today being the official Martin Luther King birth day, I was tempted to write up a short bio of a man who changed and shaped the lives of not only black Americans but all of humanity but I came to a decision that it would be unjust for me to summarise this great King in a few words. 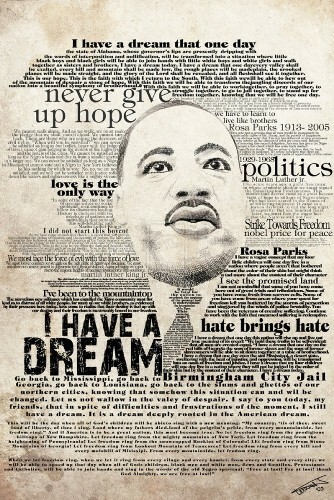 Thus, I chose to share with you my top ten MLK Quotes and challenge you to explore/educate yourself on Martin Luther King's work if your not familiar with who he is or what he did. Martin Luther King Assassination. "The ultimate measure of a man is not where he stands in moments of comfort, but at times of challenge and controversy". "I have decided to stick with love. Hate is too great a burden to bear". "The time is Always Right to Do whats right". "Our Lives begin to end the day we become silent about things that matter". "Freedom is never voluntarily given by the oppressor; it must be demanded by the oppressed". "I want to be the white man's brother, not his brother-in-law". "History will have to record that the greatest tragedy of this period of social transition was not the strident clamor of the bad people, but the appalling silence of the good people". "Peace is not merely a distant goal that we seek, but a means by which we arrive at that goal". Feel free to share your own Martin Luther King quotes in the comments section of this post. Thank you all.